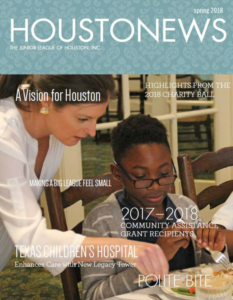 Advertising Sales | The Junior League of Houston, Inc. The Junior League of Houston offers two fantastic venues for advertising opportunities. For more information on advertising opportunities, contact the Ad Sales Chairman at adsales@jlh.org. Download the 2018 – 2019 Advertising Contract. 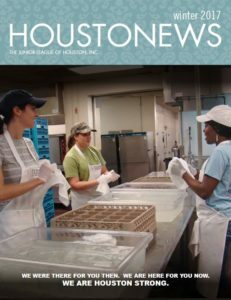 Advertise in the next issue of the League’s wonderful Houston News magazine. Advertise in our final commemorative Charity Ball program.